Monster Jam will be held at The Dome at the America's Center for two dates, Saturday and Sunday, March 2nd & 3rd. Monster Trucks featured are Avenger, Bad Company, Hooked, Brutus, Scarlet Bandit, Max-D, Megalodon, Stone Crusher, Monster Mutt Dalmatian and more. Gates open at 5:30pm on Saturday and 1:30pm on Sunday. Pit party is before gates open which requires an additional ticket. See website to purchase advance tickets and for more information. The America's Center features a convention center complex with 502,000 square feet of exhibit space, 80 meeting rooms, the 1,400 seat Ferrara Theatre, a ballroom and the 67,000-seat Dome at the America's Center. 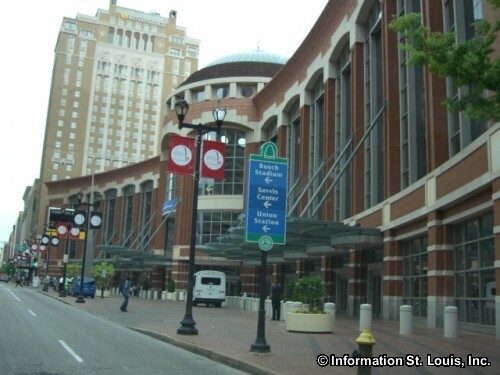 The America's Center hosts many events such as The St. Louis Auto Show, The Wedding Show, St. Louis RV Vacation and Travel Show, Builders Home and Garden Show, Monster Jam, big name concerts, conventions and much more. Directions: The America's Center is located in Downtown St. Louis. The main entrance to the America's Center is on Washington Avenue, just two blocks west of the intersection of Washington Avenue and Broadway.